Stephen Hester, the embattled boss of the Royal Bank of Scotland, cannot help being the current most-disliked man in Britain. It is not his fault that his employers decided to pay him £1.2m a year. Neither is he to blame that they decided to give him a bonus worth almost as much. But would he be as disliked as he is today if he had a different name? What if he were Tarquin Hester or Dave Hester or Jonathan Hester? The fact of the matter is, his name affects what we think of him. So, if he is somewhat reviled today you can blame his Mum and Dad for choosing “Stephen” instead of a name that the rest of us might prefer – sorry if your name is Stephen…! Your name has a significant impact upon what other people think about you. For example, it has been shown to have an effect on your academic performance because your teachers, presumably subconsciously, react better to some names than others. People with certain names do better at school than others. Choosing your child’s name can have a major effect on their life. New research confirms the “name effect”. The study, conducted in Germany and the USA, found that the names of individuals affected, for instance, the extent of interest in them in online dating sites. The names of individuals were also related to measurements of self-esteem and smoking – people with negative names smoked more and also had lower levels of self-esteem. That’s probably linked to perceived lack of like-ability; because of their name some people get fewer social connections and feel less popular, which makes them think negatively about themselves. So, if you lack followers on Twitter, or friends on Facebook it might be simply that your name is “wrong”. 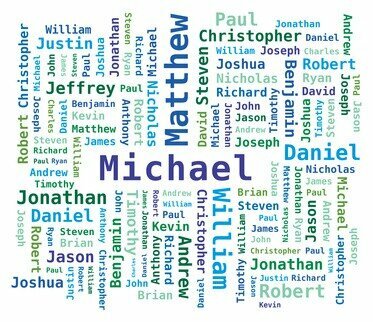 Human beings might like to profess we are not prejudiced against particular names, but this study – and others before it – show that we are biased against certain names and that we favour others. You might do better online if you use your nick-name, or your middle name. Alternatively we could all call ourselves the most popular and most highly rate name found in this new research – Alexander. If we were talking about Alexander Hester today, the coverage would be a lot less negative. Still, at least his parents didn’t call him Kevin. The research shows that is the most disliked name of all. Apologies to Kevins reading this…!